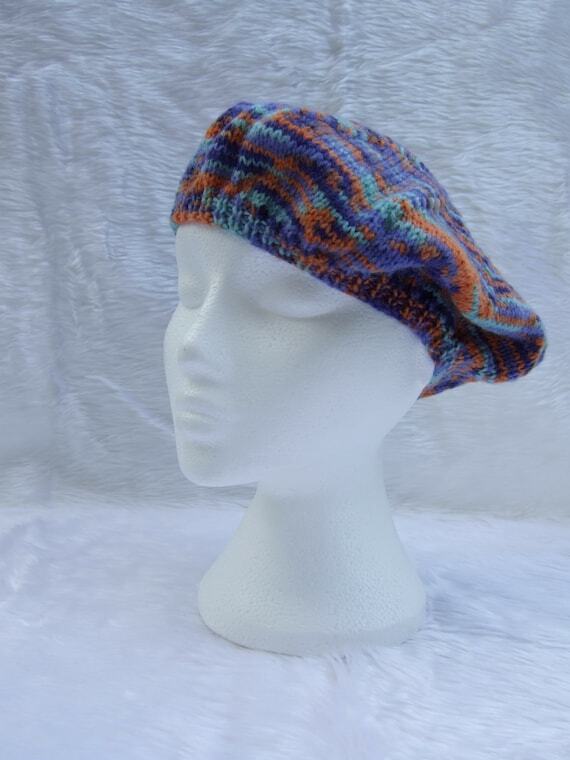 This ladies beret has been hand knitted using Robin Paintbox yarn in a shade called parrot. Parrot is a mixture of blues and orange. Just what you need to keep warm and brighten up your winter wardrobe. Fed up with hunting for your tissues in the bottom of your bag? 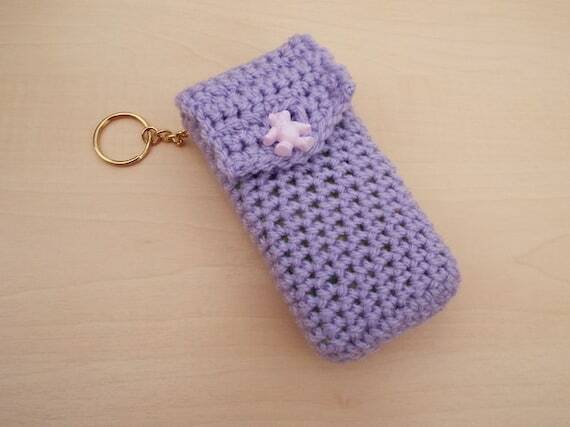 This crochet tissue cover will hold a 'pocket pack' of tissues and with the gold plated keyring attachment you will never have to hunt for a tissue again! 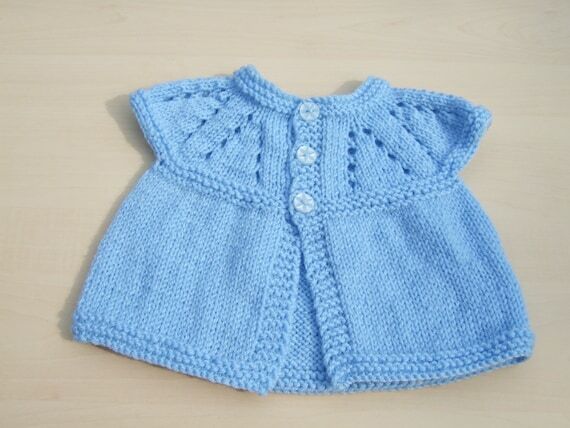 For this crochet baby blanket I've used a warm and cosy cream aran weight acrylic yarn . Finished with little colourful crochet flowers at the top end. Measures 26ins (66cm) by 32ins (81cm). 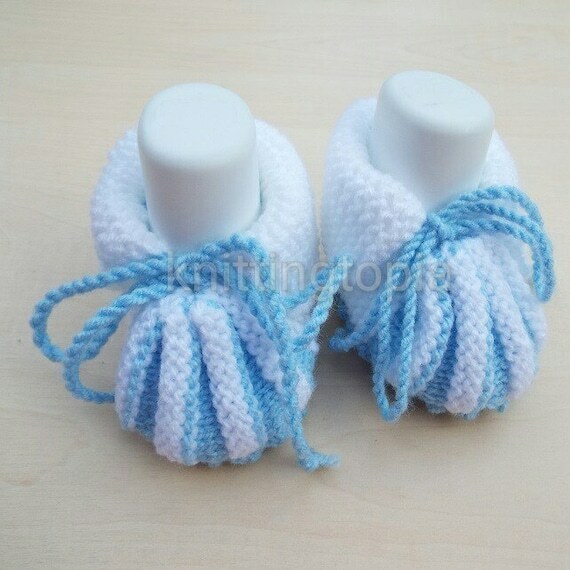 Ideal as a cot blanket, car blanket, floor blanket or any other use you can think of. Cool wash recommended and dry naturally. Spuffington the bear is not included. A medium sized strong tote bag made from black cotton canvas fabric and embroidered on the front with a cat, in shades of silver. 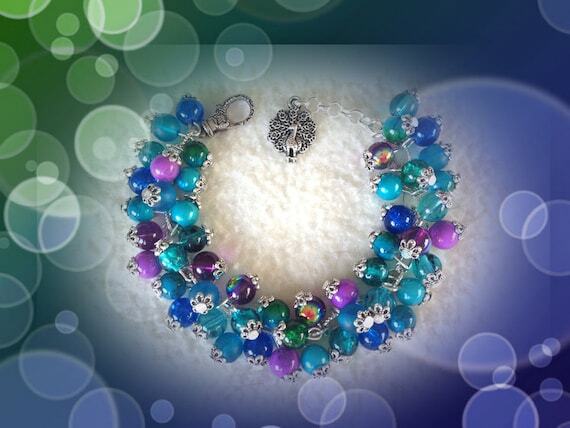 orange, green,blue and purple. 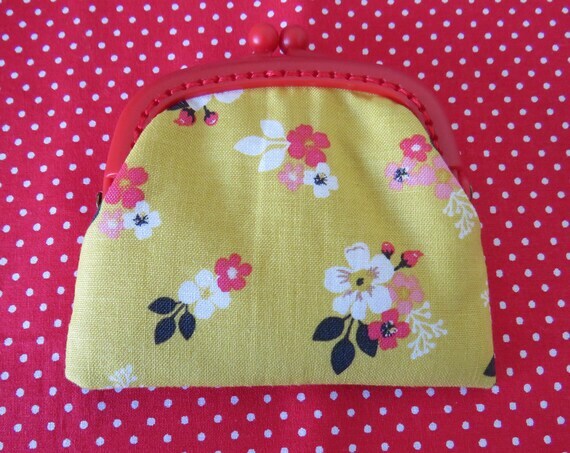 The lining is a quilt weight cotton in a lovely floral design in similar shades to the cat, on a background. 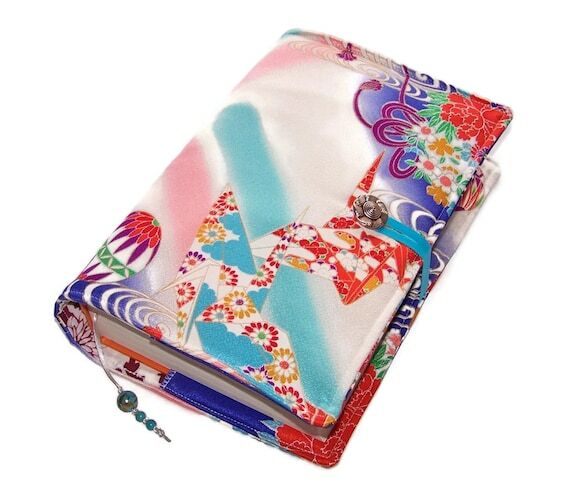 There are 2 slip pockets inside, ideal for you shopping list, phone, keys etc. I love to crochet......there I have said it! 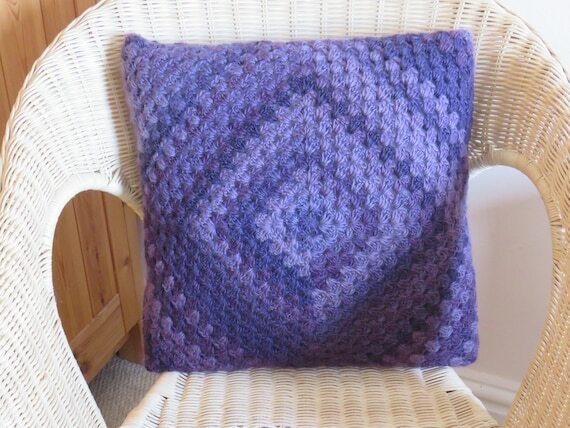 I have started making cushions and when I saw this yarn it was crying out to be made into a cushion, I love how it has turned out. 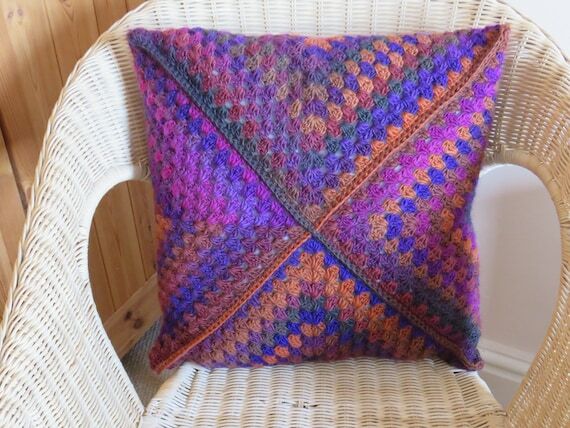 Crocheted in a 20% wool, 40% acrylic, 40% polyamide yarn in a random colourway which shouts Autumn......shades of Purple, Pink, Dark Orange and Copper tones. It is very soft and plumptious! Crocheted as a Granny Square in a 20% wool, 40% acrylic, 40% polyamide yarn in a random colourway ......shades of Purple. This chunky knitted jacket will be sure to keep you warm and has large cables for added interest with a big cosy collar. 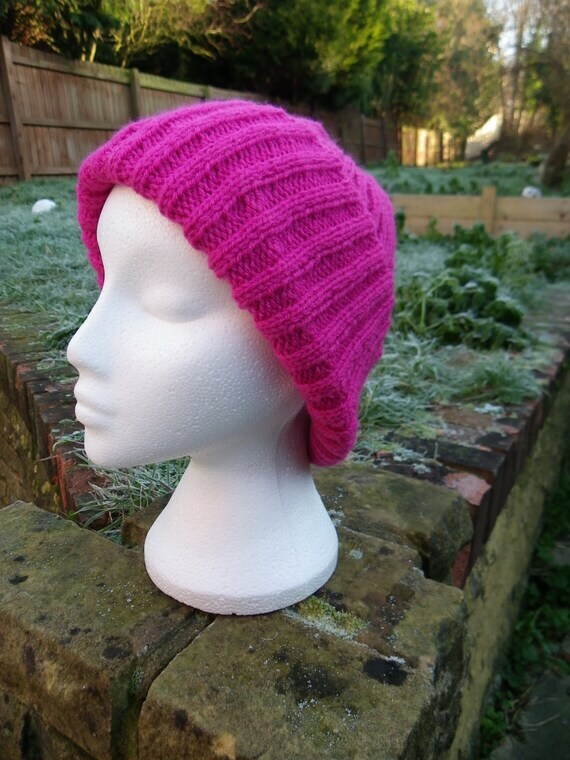 It has been designed by Drops and will be made to order using Drops Eskimo yarn which is 100% wool.